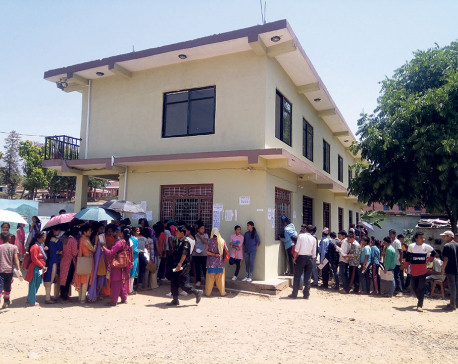 NUWAKOT, Nov 27: In lack of separate toilets for girls, Binita Regmi, an eleventh grader at Niranjana Secondary School (NSS) of Belkotgadhi Municipality-10 had to go through great ordeal especially during menstruation. She often had to rush home in the middle of classes. Sometimes, she even avoided school due to the fear of her stains being exposed. But since the school constructed gender-friendly toilets, she no longer has to skip classes during periods. Now, she no more has to deals with the mental stress that she used to have during periods while in school. "When were sharing the toilet with boys, we had to stay in queue for long time for our turn. It used to be troublesome especially during periods," said Binita, adding, "Going home was the only option for changing pads and cleaning ourselves." According to her, girls could hardly concentrate on their studies due to the stress. The school has not just constructed toilets but has also started distributing sanitary pads. "We have been provided with the sanitary pads from the school and there is a proper place for disposal also," said Binita, adding, "Once the pads are collected in a large number, we torch them." 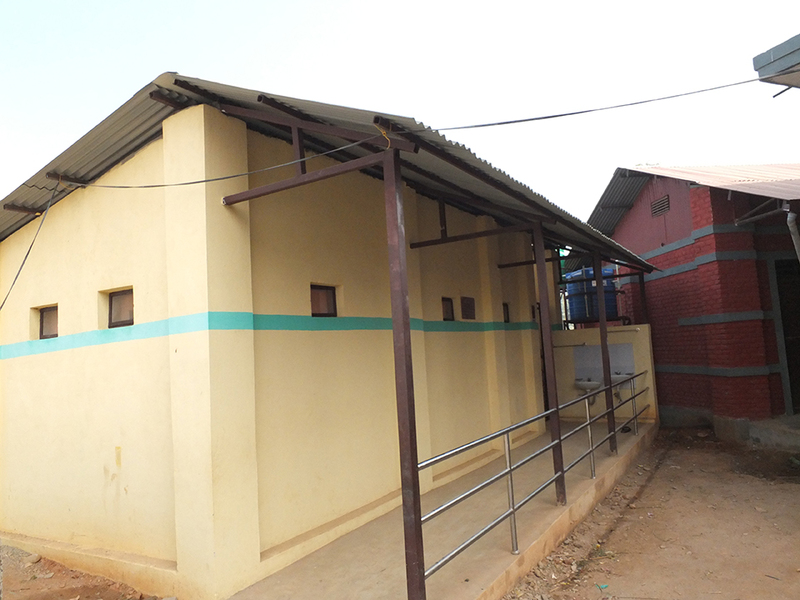 Similarly, Bardevi Basic School (BBS) in the same ward constructed gender-friendly toilets last year. Asmita Gajurel, an eighth grader at the school, stated that she no more has to go to the toilet with the fear of being embarrassed. "In lack of proper toilet, we earlier had to defecate in the open. We were always in fear of being caught," said Gajurel, adding, "But now we feel safe." Maintaining proper hygiene and sanitation is very much important during menstruation. However, the girls in rural parts of the district were unable to do so due to lack of toilet. But this problem is being taken into consideration of late by a lot of schools. Debaki Timalsina Dotel, a teacher at BBS, informed Republica that the school has been burning the pads to make sure that it will not pollute the environment. The earthquake of 2015 destroyed the main building of the school. So, a new building was constructed with gender-friendly toilets in it. This has not just benefited the girls but also the female teachers. "Sanitary pads are not easily available in the rural areas. That is why, we have arranged pads for the students in the school," said Debaki, adding, "We have also trained the students on making sanitary pads at home." Kedarnath Dotel, principal of BBS, informed that the gender-friendly toilets of the school have been constructed with the financial assistance from Korea International Cooperation Agency (KOICA) and technical support from Good Neighbors International and District Public Health Office (DPHO). Principal Dotel said that girls have become regular since the construction of separate toilets for them.